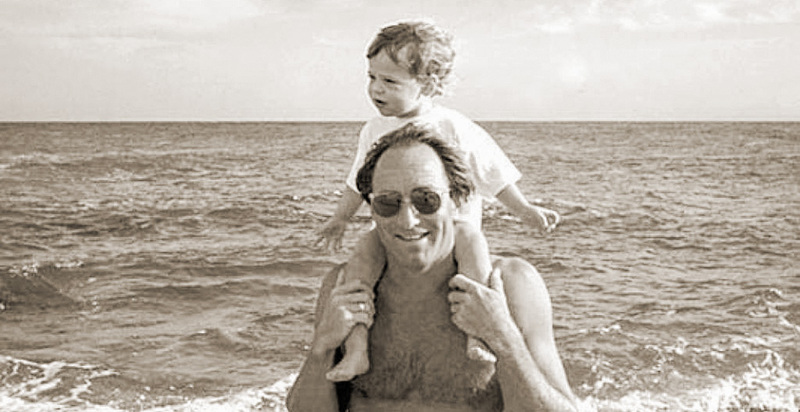 Marc and his elder daughter, Ruthie, near Cabo San Lucas, Mexico, December 1990. Photo courtesy of Lawrie Mott. "Have you read 'Cadillac Desert'?" The question about Marc Reisner's 1986 masterpiece comes up in nearly every conversation about the American West's intractable water problems. Reisner's vivid descriptions of opaque water policies and projects illuminated the environmental and economic consequences of projects gone awry. "In the West ... water flows uphill towards money," he wrote. In one sense, the book came to symbolize the closing of a chapter of American history that Reisner dubbed the "Go-Go Years" — the dam-construction boom of the 1930s through 1960s. "It helped solidify the end of the traditional era of water development," said Jay Lund, director of the University of California, Davis' Center for Watershed Sciences. "The era of traditional water development had been sort of dying since the late 1970s, '60s — really since the Carter administration — and this was just one of those things: 'OK, it ain't coming back.'" But now, as most of those dams and projects hit the half-century mark, many are returning to "Cadillac Desert" and Reisner, who died of cancer in 2000 at 51. Drought and climate change have forced the West to rethink water management, with some politicians pressing for new dams or major projects like Democratic California Gov. Jerry Brown's $15 billion proposal to build two 40-foot-wide tunnels to carry water from the state's wet north to its arid south. "He popularized issues that had been deliberately obscured," said Karen Garrison, former head of the Natural Resources Defense Council's West Coast oceans program. "Part of his enormous influence was because he exposed the underbelly of this water development monster, but also because he sketched the outline of a blueprint for change. That's what was so valuable to NRDC and other groups." Reisner delved into archives and unearthed interviews and documents that, in hindsight, were harbingers of battles that cleave California's urban and agricultural areas today. While so many environmentalist authors pound out angry screeds, Reisner wrote jeremiads with verve and wit, unsparing in casting judgment on politicians and bureaucrats whose agencies spread massive water projects for agricultural and residential development across the arid West. For example, a little-noticed 1951 state-backed report on what became the State Water Project, the multibillion-dollar set of 21 dams and reservoirs that now supplies 25 million people, concluded that "the cost of water will not be a limiting factor in ultimate development of the water resources of California." Furthermore, it said, "the water necessary for greatly expanded irrigation development will be provided, at whatever cost may be required." Reisner called that "as remarkable a statement as any certifiably sane person ever made. ... It was really like saying that, because of population pressure, we were bound to settle Mars." His willingness to point fingers in a colloquial tone helped crystallize a shift away from state- and federally funded megaprojects, and a skepticism toward irrigated agriculture in California. "California has a shortage of water because it has a surfeit of cows — it's really almost as simple as that," he wrote in a 1993 afterword. The narrative is sweeping. It covers John Wesley Powell's first exploration of the West; Los Angeles' quest for water in the California's Owens Valley ; the Colorado River, the most dammed and litigated river in the country; President Franklin Roosevelt's rapid dam construction coming out of the Great Depression; and the overpumping of the Ogallala Aquifer in the Great Plains (Greenwire, June 6, 2016). Along the way, Reisner penned colorful profiles of the most influential players in Western water, including William Mulholland of the Los Angeles Department of Water and Power and Floyd Dominy, the powerful commissioner of the Bureau of Reclamation from 1959 to 1969. But his favorite topic was California. A chapter is devoted to the state's voters preventing Jerry Brown — then a young governor — from building a canal around the Sacramento-San Joaquin River Delta to deliver water south directly from the Sacramento River, a concept that his current administration is still trying to advance in the form of the tunnels. The project was conceived as a solution to the problem of water deliveries being routed through the delta itself, which confuses migrating fish and risks allowing salt water into the system through decaying levees. But those who would fund the project — Southern California cities and Central Valley farmers — would like guarantees of more water, while environmentalists say increased deliveries would hurt endangered species and water quality. Reisner's description of the project holds true today: "Jerry Brown's dilemma — which was insoluble, but which he thought he could solve anyway — was trying to please the water lobby and his large environmental constituency at the same time." Photo courtesy of Penguin Books. When archaeologists from some other planet sift through the bleached bones of our civilization, they may well conclude that our temples were dams. Had humans never settled in Los Angeles, evolution, left to its own devices, might have created in a million more years the ideal creature for the habitat: a camel with gills. Remote, wild, half-forgotten, the Klamath was a perfect example of how God had left the perfection and completion of California to the Bureau of Reclamation. That project, the State Water Project, more than anything else, is the symbol of California's immense wealth, determination, and grandiose vision — a demonstration that it can take its rightful place in the company of nations rather than mere states. It has also offered one of the country's foremost examples of socialism for the rich. In the end, the Axis powers were not match for two things: the Russian winters, and an American hydroelectric capacity that could turn out sixty thousand aircraft in four years. We didn't so much outmaneuver, outman, or outfight the Axis as simply outproduce it. You would have a West where most people live in contained cancers called cities (as they already do, anyway), and where more rural people would provide the opportunities for people from the cities — for people from all over the world — to enjoy the region's splendors as they once were. A region where people begin to recognize that water left in rivers can be worth a lot more — in revenues, in jobs — than water taken out of the rivers. Maybe even a region where a lot of people really don't give a damn how much money a river can produce. At some point, perhaps within my lifetime, the American West will go back to the future rather than forward to the past. Reisner told a tale of decline — of people wreaking havoc on the environment and failing to emerge victorious. Scholars of environmental history say that "Cadillac Desert" represented a prime example of "declensionist" storytelling that fueled interest in environmental issues during the 1970s and 1980s. "He is, in many ways, telling the story that people were really ready to hear at that point," said Daniel Grant, a geography Ph.D. student at the University of Wisconsin, Madison, who studies the meanings attached to environmental disasters in the West. "He did it brilliantly." 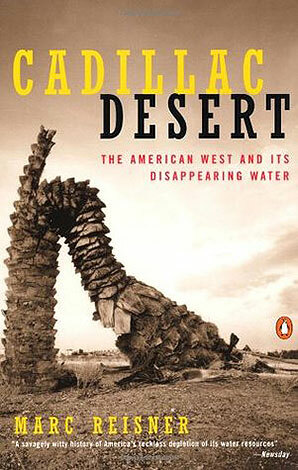 Despite the overwhelming destructiveness that it depicted, "Cadillac Desert" also had notes of optimism — particularly in the afterword, written just after the passage of the Central Valley Project Improvement Act, which reserved billions of gallons of water per year for fish and wildlife. Reisner also foresaw the splintering of then-unified water interests, which diluted their political power; the willingness of urban areas to find alternatives; and the rise of the federal Endangered Species Act, which has further reduced deliveries from the delta to farmers in order to protect salmon and smelt. "What it all boils down to is undoing the wrongs caused by earlier generations doing what they thought was right," he wrote. "Yes, there is that apocalyptic strain, but Marc was very clearly saying we could do things differently," Garrison said. "He acknowledged the positive side of water development in addition to revealing its dark side. He focused on alternatives." Reisner also was not anti-dam on principle. He noted the importance of hydropower produced by dams on the Columbia River in the Pacific Northwest, including the nation's largest, Grand Coulee. Without that electricity, he noted, the country would not have been able to produce enough aluminum for planes during World War II — or plutonium for the atom bomb. "There were legitimate reasons, of course, to build a fair number of those thousands of dams," he wrote. "Hydropower was obviously one; the Columbia dams helped prevent the horror of Nazism from blackening the entire world." People on all sides of today's debate say he would be a welcome presence, even if he would likely not support Brown's tunnels. "I think the primary reason that he would have been opposed to it is it's such a throwback to the mid-20th-century era of huge megaprojects," said Lawrie Mott, Reisner's widow and a former senior scientist at the Natural Resources Defense Council. Reisner, with all he knew, could have been a facilitator the West now needs. "I think a lot of it has come down to a matter of mistrust, which is really a shame," said Philip Bowles, chairman of Bowles Farming Co. in the Central Valley. "That's another place where a guy like Marc would have been really useful. He was an honest person, and I think he helped build a lot of trust. "His book pissed off a lot of people when it came out," Bowles said, arguing that Reisner's depiction of rice as a water-wasting crop, in particular, was inaccurate. But other than that, "all the other stuff in his books turned out to be true." Reisner was raised in Duluth, Minn., and Peoria, Ill., by immigrant parents who fled Germany just before World War II. He moved to New York City after graduating from Indiana's Earlham College and worked as a fundraiser for the then-nascent NRDC. His interest in dams began with his first foray into nature writing. He started by writing newsletters for NRDC about water issues in the Southeast, and decided to shift his focus to the West. "It was the beginning of environmental law and the writing of the great statutes, and Marc was writing about it," said NRDC founder John Adams, who converted a chicken house on his property in the Catskills where Reisner stayed part-time. "He had people who just loved his writing. I'm not kidding, they loved it." Reisner took a trip to California's Central Valley one summer to do some river rafting and came across a sign in the road that illuminated the unnatural practice of flood irrigation in an arid region. "It said, 'Caution — road floods,'" Mott said. "And he was going, 'How can they?' ... He saw floods in the east, when there's a river nearby. He didn't understand it was flooding because of flood irrigation, gravity irrigation." Marc Reisner. Photo courtesy of Lawrie Mott. 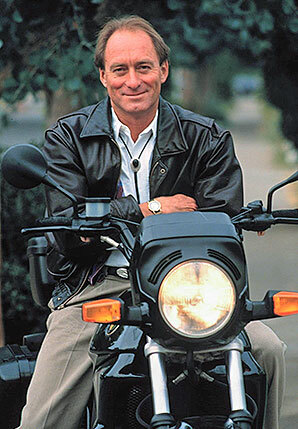 From there, he received a fellowship from the Alicia Patterson Foundation in 1979 to write about Western water, and moved out to San Francisco, where he was soon joined by Mott. They lived in the Russian Hill neighborhood, and Reisner wrote his book in a number of locations, including Friends of the Earth's new headquarters in San Francisco and coffee shops in the city and in neighboring Marin County. He finished it in 1985. "It took him forever," Mott said. "He had a deadline in the contract, and he must have missed it." He wrote on legal pads and an IBM Selectric, and usually didn't get started until the late afternoon, Mott said. "He didn't like talking about writing," she said. "He had this idea, almost like some novelists feel, that if you share your idea you're going to limit your creativity. He used to hate it when we'd be at some party or dinner party and people said, 'What are you working on?'" After "Cadillac Desert," Reisner got a grant from the Ford Foundation to write "Overtapped Oasis," a book of recommendations for reforming Western water policy that was published in 1990. "He enjoyed sharing the thinking process, and he didn't assume that he knew everything," his co-author, Sarah Bates, recalled. In 2000, he received a Pew fellowship, which he intended to use to fund work on salmon restoration, but he had already been diagnosed with cancer of the appendix and was receiving chemotherapy. "He was really concerned about the fate of the salmon," Mott said. "He was in the hospital, unfortunately, at that point, so he was awarded the fellowship, but he never could do anything with it." Those that knew him said the tone of "Cadillac Desert" matched his personality. "He's a hell of a guy," Adams said. "He was adventurous, very smart and disagreeable, argumentative. All the things that make life good." An accomplished pianist who never learned how to read music, and an impressive amateur cook, Reisner was primarily an adrenaline junkie — of the nature sort. He loved natural disasters and sped around the state in his custom 1973 BMW Tii to visit them, Mott said, listening to jazz piano — Oscar Peterson, Tommy Flanagan and Red Garland were among his favorites — and collecting speeding tickets as he went. Mott said he was in "awe of nature." 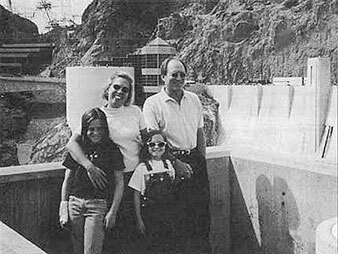 Lawrie and Marc Reisner with daughters Ruthie and Margot at Hoover Dam in 1999. Photo courtesy of Lawrie Mott. "Unlike a lot of people who write about policy issues or environmental issues — they do all their research inside — he did a lot of research outside," she said. In the afterword of the revised version of the book, Reisner confessed that he "always had a mordant wish to watch a dam collapse," and he thought he had his chance during huge storms that slammed California in 1986. He sped to Oroville Dam, of all places. In order to account for all the stormwater rushing into the reservoir, regulators were releasing water down the 770-foot-tall dam's concrete spillway as fast as they could. Reisner described the effect of that much water being flushed out of the reservoir. "Small trees and shrubs lining the spillway fence were bent double under the force of vortex winds created by so much mass in a rush," Reisner wrote. "A crow, sailing arrogantly a few feet overhead, suddenly executed some frantic maneuvers to avoid being sucked in himself; he too had never seen anything like this before." Reisner undoubtedly would have returned to the same spot in February. And, of all people, Reisner would not have been surprised by the only part of that scene that's changed in 30 years: a canyon-sized crater in the middle of the spillway.